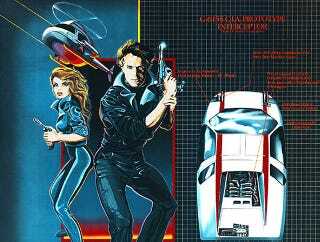 Part anti-publisher rant, part impressive display of creative coding, Mark Feldman's fascinating little story about how the multiple arcade machine emulator MAME was instrumental in rebuilding a Spy Hunter port from scratch is a must read. While publishers often rail against video game emulators like MAME (for good reason) and the legally gray area in which they operate, it's clear that the preservation aspects of the software are worthwhile. Feldman explains in a journal entry entitled "The Day MAME Saved My A**" how his game dev built an accurate version of Midway's Spy Hunter without access to the game's source code—code that was promised by the mobile game's publisher. Feldman also drops a few unbelievable publisher anecdotes in the story: "During my 15 years as a developer I have seen publishers pull every dirty trick imaginable, from telling the dev team of a certain AAA title to remove all the black kids from the game ("it hurts sales in Germany") to informing a small studio that they were only going to pay half what they owed for work already completed, and then only if the studio signs a legal waiver first (knowing full well that because of late payments the studio would be out of business long before it reached court)." But it's the code trickery and MAME's ultimate worth that's worth reading.